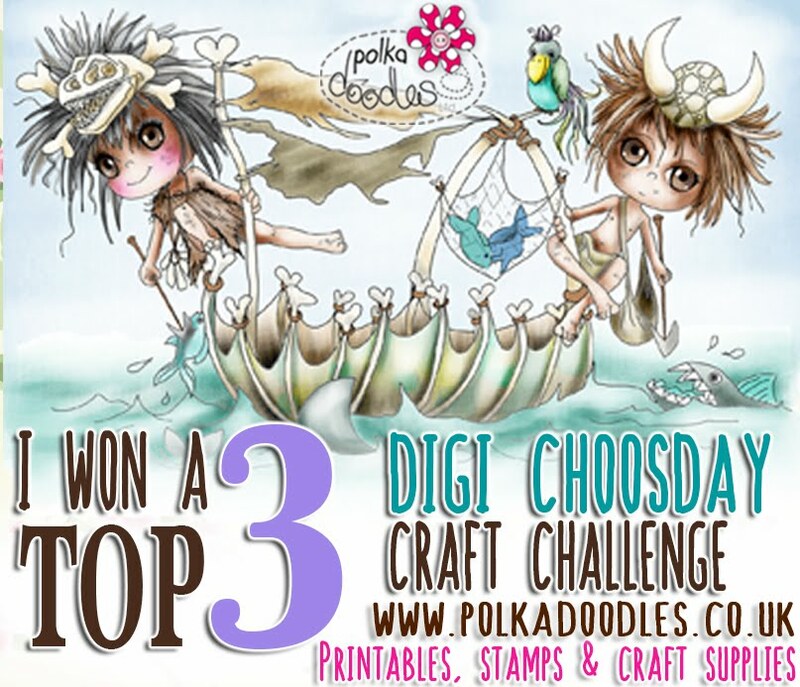 Digi Choosday Crafting Challenge: Join Us! We have an amazing team of creative minds here at Polkadoodles and the focus is on TEAM and not ME! We are famous for our downloads, digital stamps and clear/rubber stamps, dies and papers, but our products are in amazing collections which are a full printable paper kit. You will be expected to print out all your papers and have a handle (if not an expert) on how to download and print what you use. So you must have a decent printer and be prepared to do this. We also provide SVG cutting files so if you have a Silhouette Cameo or Scan n Cut or other electronic cutting machine you will love our images. We are not all about colouring although obviously this is a big part of what we do - we also want traditional paper crafters who love florals, making boxes, decor, concept cards and mixed media too so dont think you cant apply if you dont colour - we have a lot of diversity in our team and we pick people who can bring something new to the mix that we don't already have. Composition and Quality of work - as we are a high profile company we expect our team to showcase our products in the best way possible - this means we expect a decent skill level of crafter, composition of your cards and how you put designs together is important to us and you should be able to show this on your blog posts too. 1. Commitment....We have a large team which is split into smaller sub teams which have slightly different roles. We expect a good level of social level engagement from our team - so if you are someone who sits on the sidelines and turns up once a month to show your work, you're probably not for us. We engage together and interact a lot with our customers to enhance and encourage their crafting experience and our own and this makes us feel like one huge family which is very rewarding for everyone and feeds our creativity. We are very team orientated and this will probably be like no other team you've been part of before - so if you are someone who is looking to get famous quick, further your career and get into TV and think this team is a stepping stone to bigger and better things then please walk on by....we want people who genuinely love our products and want to be part of something bigger and better than their own solo ambitions. By being part of a successful team you will receive many rewards - including recognition across the crafting community, showcasing your work through our popular channels and large customer base and even the possibility of having your best work shown on TV and working on special projects, but this is earned and is part of the whole process. You will be supported all the way in your crafty endeavours but in return we expect dedication and commitment long term. You will be rewarded with lots of amazing products you will love, with a steady supply of new stash each month. We cannot pay you monetarily for your work but product value will outweigh any monetary value you would expect and you will receive a generous discount in the store. Digi Choosday (Tuesday) - Weekly Posts on Social Media such as Facebook, Twitter, Pinterest & Instagram plus 1 Weekly Blog Post. The team's mission is to specifically promote our Digital Downloads worldwide. 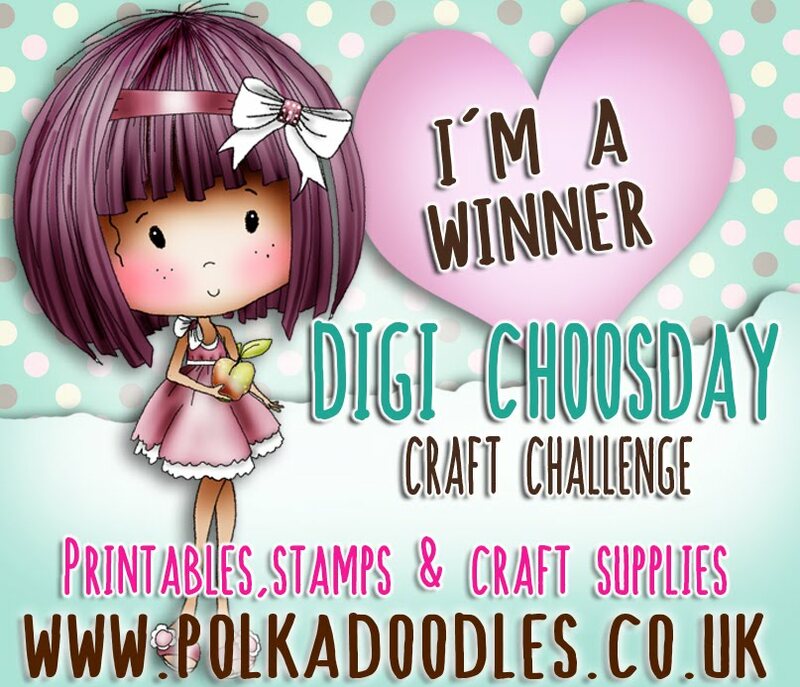 Polkadoodles Friday - Weekly Posts on Social Media such as Facebook, Twitter, Pinterest & Instagram plus 2 weekly Blog Posts. 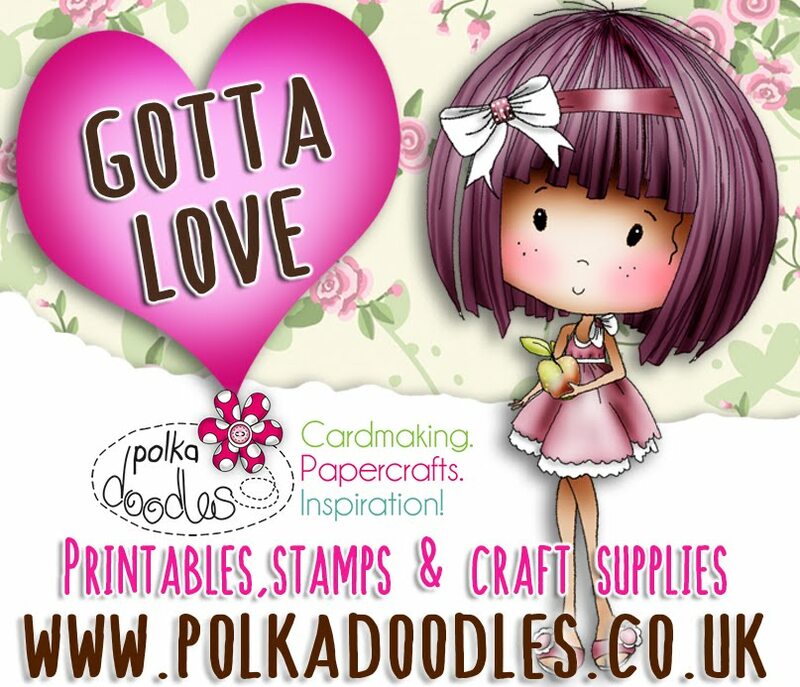 The team's mission is to promote the full range of Polkadoodles range of products worldwide. 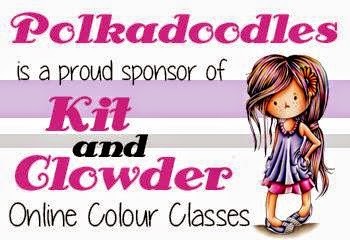 Our Facebook groups help encourage crafters of all levels to show and share their colouring work with like-minded people who love to colour and craft. In craft, colouring can be extremely competitive and I feel that people can often feel intimidated and overwhelmed by some of the amazing work they see. It can be difficult if you don't have much confidence to feel comfortable sharing what you make especially if you personally feel it's not as good as other work you might see. To try and combat this we encourage ALL colouring abilities whether you're advanced or a beginner to share. Sharing your work is a HUGE and very important part of crafting - you will always receive encouragement and we will never allow any trolling or negative comments within the group. Every crafter had to start somewhere and we are all just on a different stage of the craft journey together....I like to think of it as a crafting road around the world....we all set off at the start line but we all start at different times so we all finish at different times and improve along the way. Some people are just a bit ahead of others on the road, that's all. Our teams post several times per week across Facebook and their job is to encourage and support members of the Polkadoodles groups with their work too. 2. Commenting and Voting - We love to thank people who enter our challenges so every teamie is required to do this on a rota system so it's not too much work. 3. Be nice! We don't like bad eggs in our team so please be nice and polite to both the team and our customers, we try to keep the riff raff at bay! So if we haven't put you off yet and you still want to apply please email us HERE telling us why we should choose you and a link to your blog and Facebook pages - we look forward to hearing from you! Here at Polkadoodles I insist that all my team have a blog where they can showcase their work. Many people don't understand this and think having a blog is unnecessary when we are all now so involved in other social media such as Facebook. 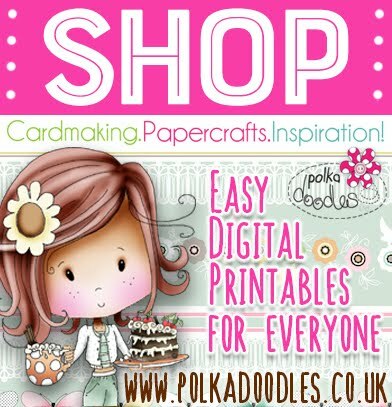 As part of the Polkadoodles Design Team your job is to showcase our products to as many people as possible across the world by showing them what they can make with our products. If you have a Facebook account you probably on average have maybe 200-300 friends. Some of these will be your family and friends that have nothing to do with craft. Blog - perhaps you only have 50 followers on your blog. Facebook works on engagement - meaning that if someone doesnt actually comment or interact with your posts ie sharing etc, after about 2 or 3 weeks your post stops appearing on their timeline. People MUST engage with you on Facebook to see what you post! This means if your Facebook friends don't like, share or comment on your crafting posts they will stop seeing them within 2 weeks! SHOCK! So out of your 300 friends probably only 100 actually see what you post and maybe half of those are not crafters. So you are actually promoting to about 50 people. MORE IMPORTANTLY - the only people who can actually see YOUR Facebook posts are your FRIENDS. The same principles apply to Twitter, Pinterest and Instagram although your photos are able to be seen publicly. With a blog you might only have 50 or even less blog followers but your blog is open to the entire world. Your Blog posts are fed through Google and can appear in searches. Basically someone in Timbuctoo can happen across your blog at any time and read it and comment and not ever have to sign up, sign in or make any form of contact with you. You're walking down Social Media street, a little cash in your pocket, window shopping for stash. You walk into the Facebook shopping centre/mall....and you can see all your friends' shops, but you see a ton of other shops which all have their doors closed and you need to be a member or know the doorman to get in. That's so annoying! They are called Crafty Carol's and Creative Claire, but you can't see what's inside because the shutters are on the windows. So you have a quick look in your friends' stores then leave the mall and carry on down Social Media street and find Pinterest - oooo look! Pretty pictures!! You get lost in there for days!...Twitter - oooo lots of interesting shops and they just appear in front of me with their shops and offers and messages but I can't very easily see what was there beyond a few hours ago....Instagram - oooo lots of pretty stuff too and no salespeople I can just mooch around but I have to really find the stuff I like!....Ohhh Blogland....Wow! Look at this shop! Here there's pretty pictures but this shop tells me how they made this and where I can buy all the stuff from, and they're in Timbuctoo, wow! Look they posted links for me to find stuff I might like and oh! there's a video here let me save that link for later and Oh!! and I can see what they made 10 years ago too, it's all in a library look! cool! Facebook is a closed door that you have to ask permission to access, and if you don't keep going in the shop and talking to the person on the till you lose your access within a few weeks and you're locked out again, missing out on all those goodies and you dont even realise it. We need you to be working with open Social Media platforms and a blog enables you to build a permanent library of work where people can go back years and years and find things. Wherever they are in the world, and whether they know you or not. Quite simply it's about promoting to the WORLD, not to your circle of friends. So get a blog. Simples. I have to say this has to be the BEST explanation of why a blog is important. The rest of the info was great too. Note to self....use blog more. I like what I read, but most important the explanation you give us for free about social media. Thank you very much.